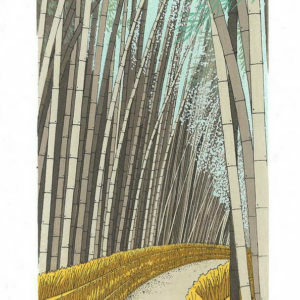 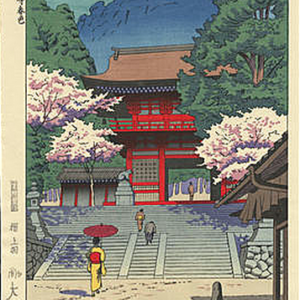 A rare delightful woodblock print art panel by Nishizawa Tekiho. 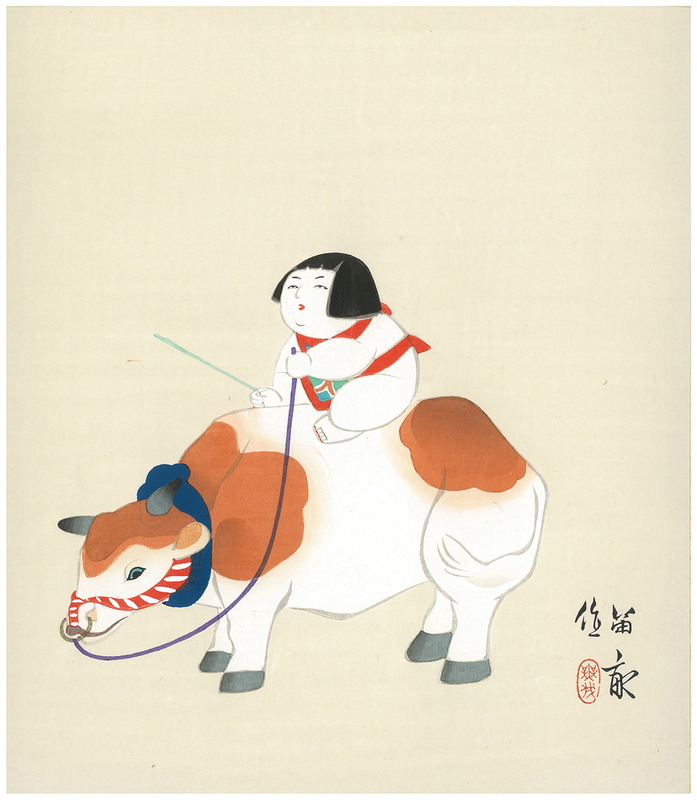 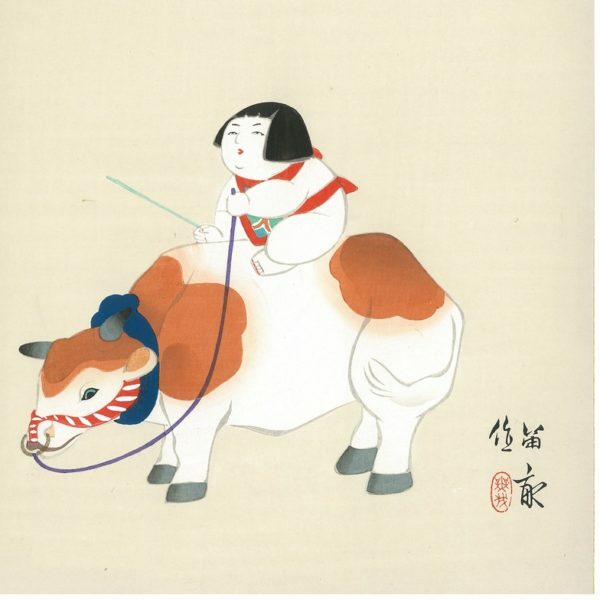 A Gosho Doll sits astride a cow. 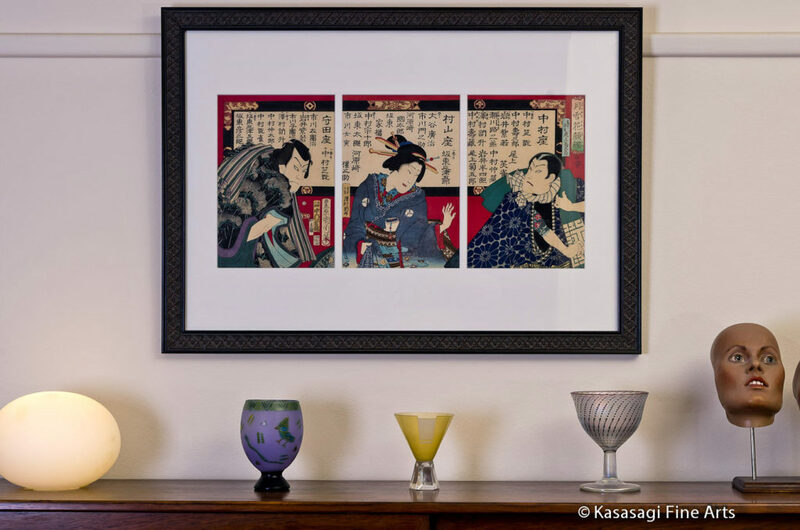 Shikishi board backing and gold leaf border. 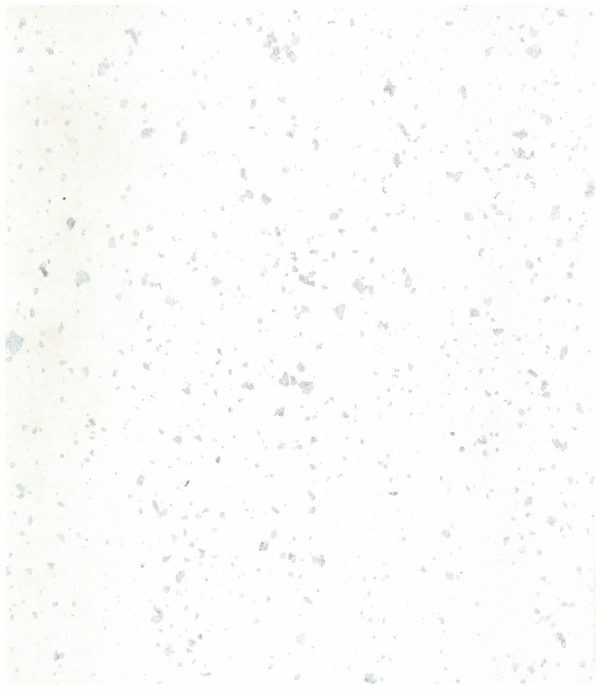 Dimensions of sheet are approximately 27.2 cm height and 24.2 width. 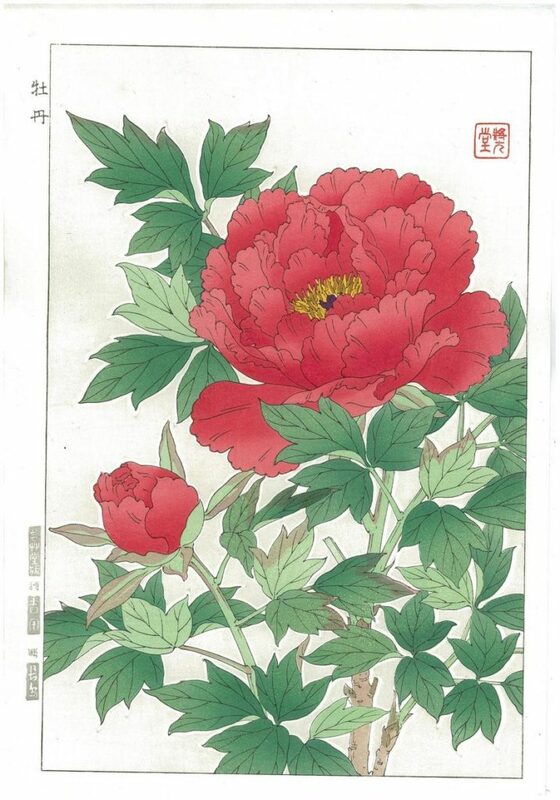 Signature and Seal of Tekiho and Publisher on the bottom left of the print. In good overall condition and has never been used. 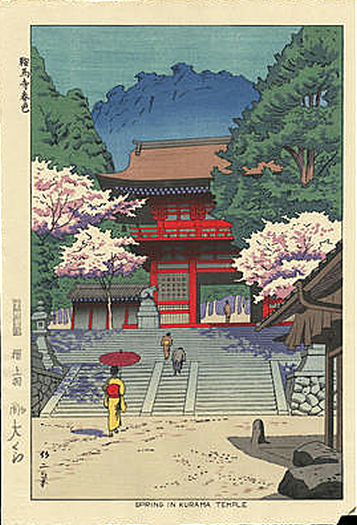 Tekiho studied under Araki Kanpo (1831-1915) as well as his son Araki Jippo (1872-1944). 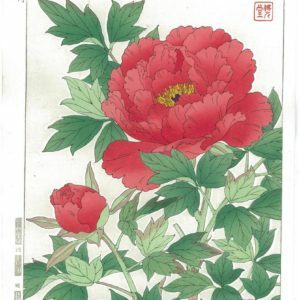 The father and son specialized in bird and flower paintings. 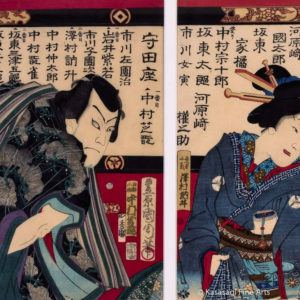 He was most famous for his charming paintings of traditional dolls and, following in his adoptive father’s footsteps, he became a serious collector and scholar of dolls.